With the new year upon us states all over the nation have updated their laws and regulations effective January 1st, 2019 but it’s not just the new year that brings legal changes for employers. Hiring laws, interview question regulations and application restrictions are constantly being updated at the federal, state and local level. As a small business owner, you need to know when to update your hiring materials and internal policies. One of the best ways to do that is utilizing experts in the field to give you timely, relevant information on the ever-changing hiring landscape. At HireSafe we keep you updated about rule changes that affect most employers include changes like ban the box, and restrictions on salary questions for potential employees. Recently we’ve advised on new Adverse Action requirements, and Summary of Consumer Rights revisions but there are constant updates to state and local laws that you need to be aware of as well. We’re strong proponents of the idea that if your company is compliant with California employment law, you are very likely compliant across the US. One of our favorite blogs to stay up to date on California human resource laws and regulations is calpeculiarities.com. This blog has multiple awards as a top legal and top employment blog with information on everything from new interview rules for 2019, to how California employers need to approach politics in the workplace. Unlike our staff, the SeyFarth Shaw bloggers are attorneys with experience in employment law, so you can trust their knowledge. It’s not just legal offices with great information on employment law changes. For instance, an HR Blog, HRDrive.com keeps A running list of states and localities that have outlawed pay history questions. Connecticut and Hawaii have state-wide restrictions on what employers can ask about a potential employee’s salary that went into effect on January 1st. Meanwhile, New York has state-wide restrictions and even more strict county salary question bans. Suffolk County, New York has a ban on any salary related questions on application, or in interview that goes into effect on June 30th, 2019. These bans can even apply to public information that includes a potential hires salary. This means employers should not go looking for salary information anywhere, not even if its publicly available. Even if an employer happens by salary information, they are often banned from using that previous salary to decide the new hires starting salary. All this together means it’s best to create an internal policy that steers clear of any salary related questions, but you’ll want to speak to an employment attorney about what you can and can’t ask in your region. To keep up to date on the changing HR landscape make sure you are plugged into the industry. Many sites keep awesome lists of HR blogs that can help you stay well-informed on HR changes in your state, and nationwide. 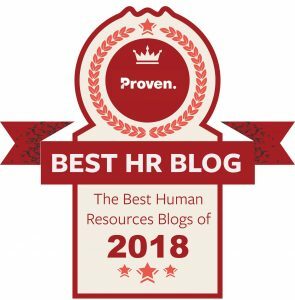 In fact, HireSafe was just awarded as one of the best Human Resource Blogs of 2018 by Proven.com. You can check out Proven.com’s list of the best HR Blogs here to find some current, relevant information that can help your company stay safe from compliance nightmares. As always, don’t forget to subscribe to our email newsletter so you won’t miss background check compliance changes! Legal disclaimer: we are not attorneys and this information is provided based upon the Fair Credit Reporting Act and our experience as a consumer reporting agency. Clients are advised to consult with counsel to create their own policies and procedures with regards to hiring suitability.